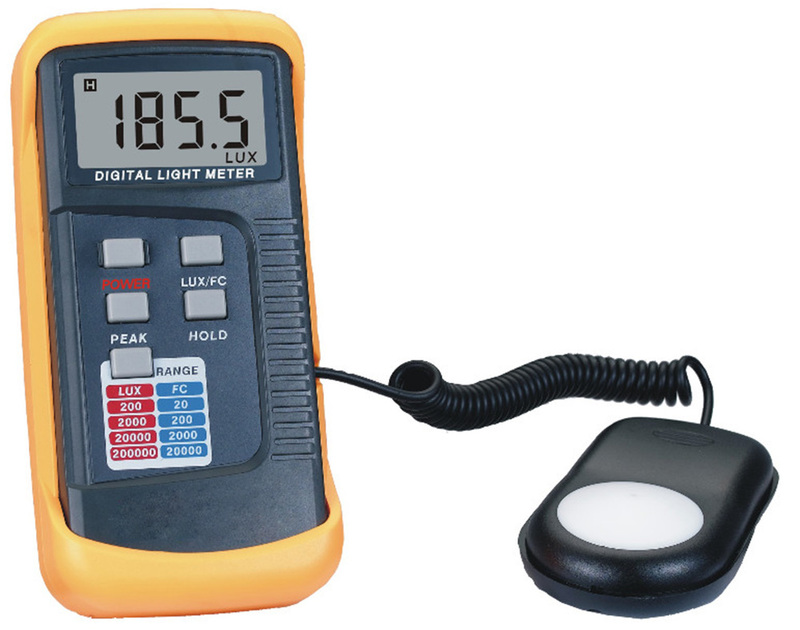 The digital illuminance meter is a precision instrument used to measure illuminance in the field. It is fully cosine corrected for the angular incidence of light. 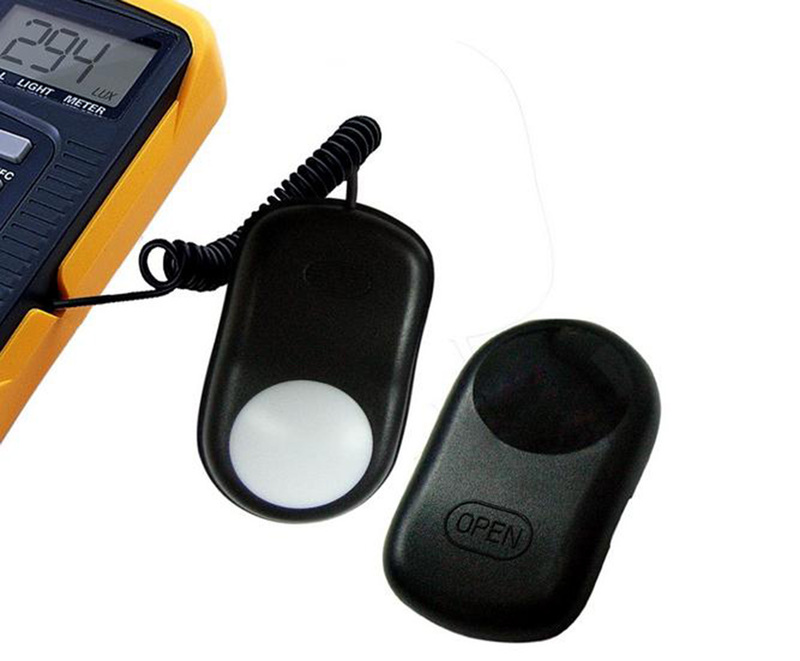 It is compact, tough and easy to handle owing to its construction. 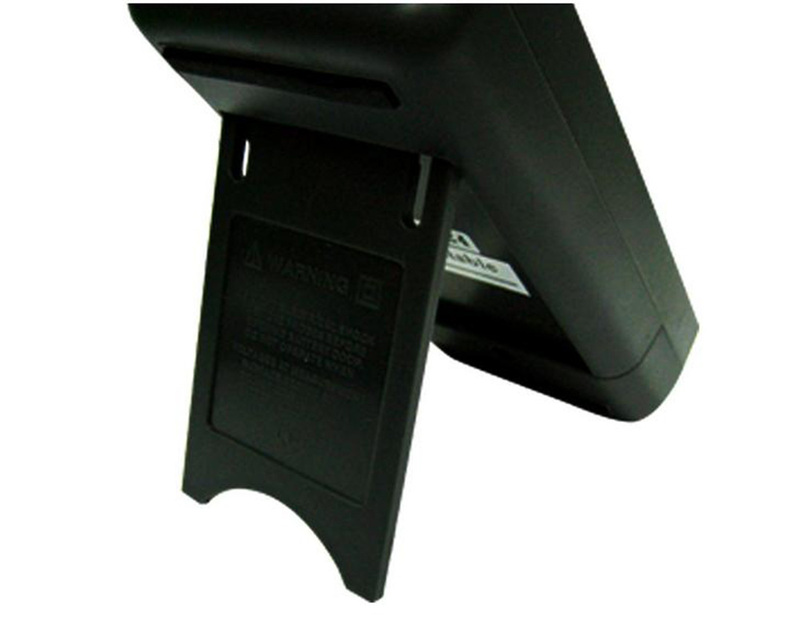 The light sensitive component used in the meter is very stable, long life silicon diode. 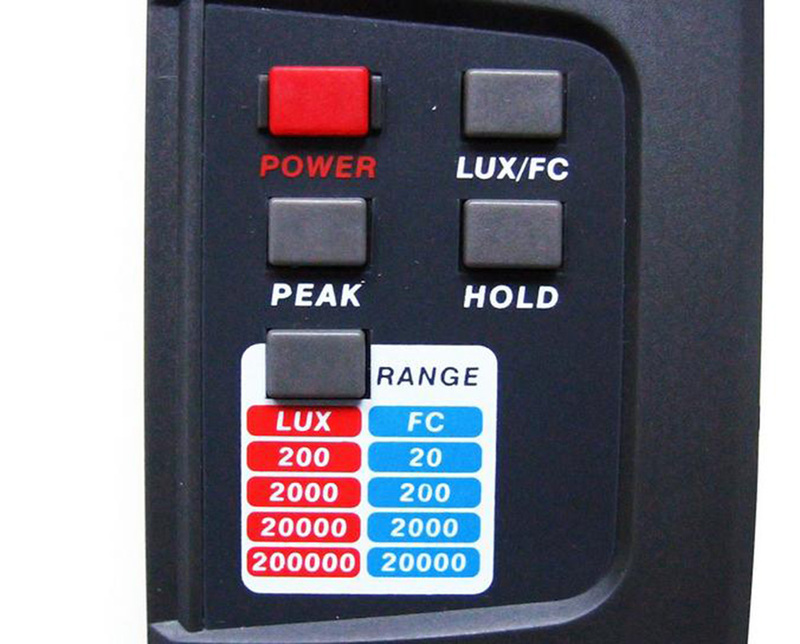 Light measuring levers range from 0.1Lux to 200,000Lux, 0.01FC to 20,000FC repeatedly. High accuracy and rapid response. Data-Hold function for holding measuring values. Unit and sigh display for easy reading. 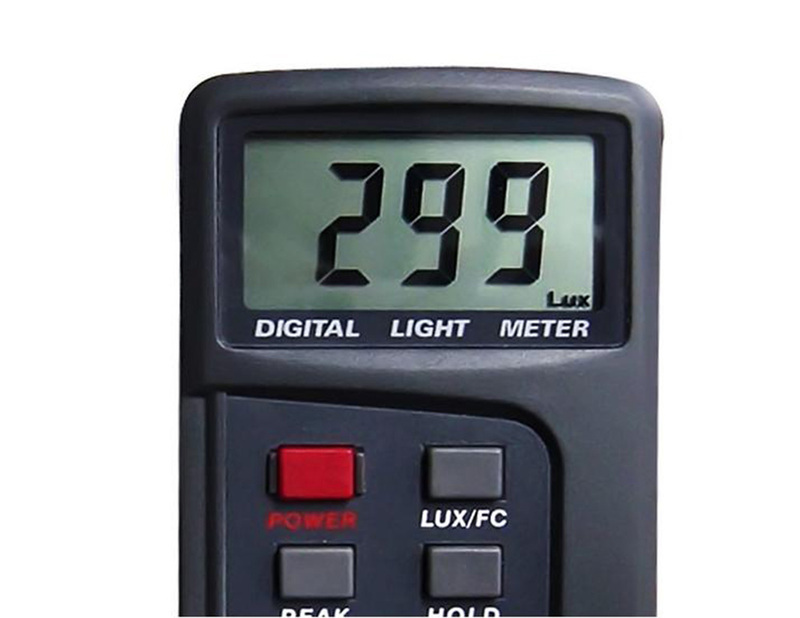 Meter corrected for Luminous efficiency function. Correction factor need not be manually calculated for nonstandard light sources. Short rise and fall times. 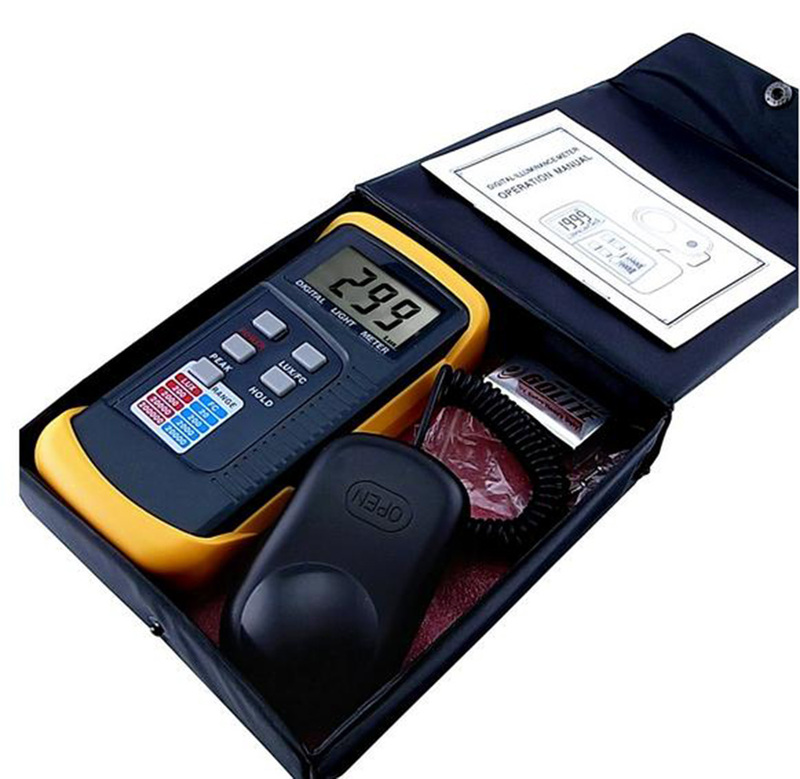 Very good LuxMeter for engineer.